How to run a permutation pass in cis? In order to perform a fast permutation pass for testing purpose, you can use --permute 100 which will already give reasonnable estimate of adjusted P-values via beta distributions. Here qsub needs to be changed according to the job submission system used (bsub, psub, etc...). In this simple example, we only split the data into 20 chunks. However, a realistic whole genome analysis would require to split the data in 200, 500 or even 1,000 chunks to fully use the capabilities of a modern compute cluster. We expect here to get all points along the diagonal as on the plot above. 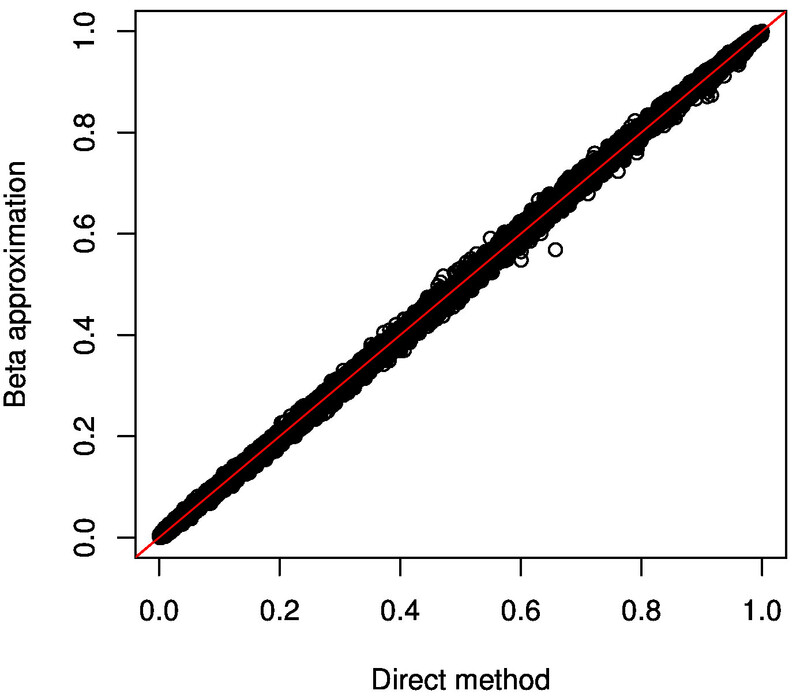 This shows that unsignificant beta approximated p-values are well calibrated given the empirical ones. Note that alternatively to R/qvalue, you can also use the various FDR procedures implemented in R/p.adjust. The output is the same excepted that the 6th column does not contain the top phenotype but instead the variance explained by PC1.